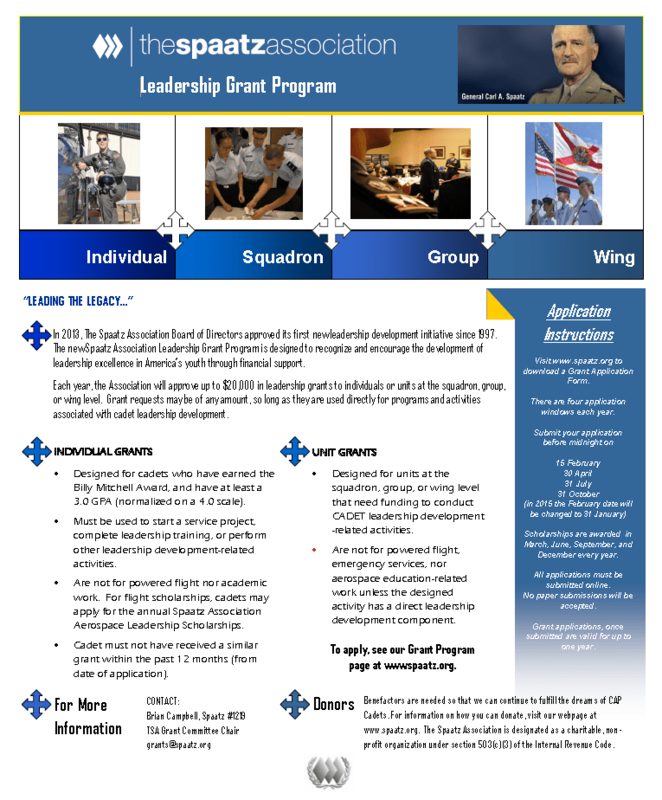 The Spaatz Association is proud to announce a new leadership development initiative for 2014! The TSA Leadership Grant Program is designed to foster leadership development in CAP cadets and may be used to defray the cost of any type of leadership development activity for individuals and units. Grants are issued QUARTERLY! The first grant window closes on 15 February 2014. For more information and to apply, visit our Grant Program page. Click here to download our 2014 Grant Program Flyer suitable for printing and hanging in your units!